The end result of even the smallest water damage incident can costs thousands in repairs and place your family or employees as great health risks. 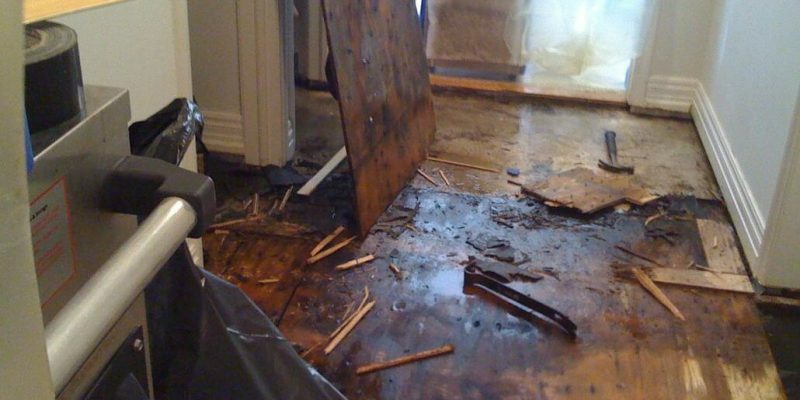 Here are just nine of the things you can expect when water damage goes untreated. Water damage can be an eyesore. It is hard to paint over. An inspector can spot and will document water damage if not properly addressed. Potential buyers will offer you less money or worse, not consider buying your home at all. This causes a vicious cycle. Once pipes are corroded they tend to leak which can lead to more water damage and a higher need for water damage restoration. This cycle can get pretty costly too. Think it stops at water damaged ceilings, think again. The longer you wait to initiate water damage cleanup the more the ceiling and wall paint will discolor, plaster will bulge. In addition, damage can occur to mounted lights and ceiling fans. Mold growth can result quickly in untreated water damage. Never underestimate a small drip. If left unattended long enough it can eat through concrete. Even worse it can affect the foundation and make your home structurally unsound. We all know water and electricity don’t play well together. Water damage left unattended too long can cause electrical shorts and damage to your circuits. Can you say fire hazard? The less damage the better, so staying on top of water damage cleanup is a must. ll cause your carpet to break down. Leave it for too long and the padding below the carpet and subfloor will start to weaken, loosen, decay and warp. A water damaged carpet can be a long-term headache. Wood acts like a sponge so water damage to wood floors is common. Because wood is so absorbent, the longer you wait for water damage cleanup the more it spreads throughout your flooring system, warping and buckling. Wait too long and the structure of your house can become compromised. Dry wall doesn’t need much exposure to water in order for it to turn brittle, swell and mold. Deformed, mold-infested water damaged walls are the result if left untreated. Flood waters can contain harmful bacteria and microbes that can make you sick and linger on your belongings. Toxins, chemicals and contaminants remain on water damaged furniture long after they have been dried. Leave that water in your home too long and mold, bugs and fungus will show up. They can make your allergies worse, cause respiratory infections and add to a host of other health issues. It is clear that allowing water damage to go untreated can be a costly and dangerous health hazard mistake. If your home or business has suffered damage due to a water, sewage, flood, fire or storm disaster now is the time to get it addressed quickly. 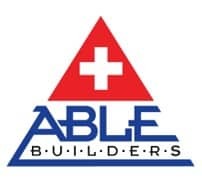 Able Builders, Inc is here for you 24/7/365 with a licensed, expert team that will restore your property back to pre-disaster condition quickly, affordably and with integrity.